15% early bird registration discount offered until 15 June 2016 (subject to payment receipt by 15 June 2016). 10% discount offered until 15 July 2016. Full prices are payable after 15 July. Fee includes: 4 admission passes to Forum, Master-Classes and Gala Dinner; Full page advert in the Forum catalogue; Option to present at a business podium session; 50% discount for purchasing additional Forum passes. Fee includes: 3 admission passes to MINEX Forum and Gala Dinner and option for presenting at a business podium session; 50% discount for purchasing additional passes to the Forum. Fee includes: 2 admission passes to MINEX Forum and Gala Dinner and option for presenting at a business podium session; 50% discount for purchasing additional Forum passes. Fee includes: Hire of space in the exhibition area (maximum width – 1.5 meter; depth – up to 1.5 meter) for a pop-up or roll-up banner with one table and chair; 1 admission pass to MINEX Forum and Gala dinner; Option for presenting at a business podium session; 30% discount for purchasing additional Forum passes. 1. Exhibition booth hire from 7 am on 5 October until 6 pm on 6 October 2016 at the Radisson Slavyanskaya Hotel, Moscow (Forum venue), monochrome company name print on the front panel, hire of 0.7 m table, 2 chairs, 2 spot lights & 220 V electricity. 2. 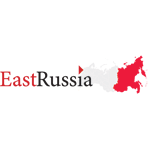 Short (150 words) exhibitor profile on MINEX Russia website and in the Forum’s catalogue. 3. Delegate admission to MINEX Forum on 5-6 October and admission to MINEX Gala Dinner (pls. see terms above). 4. Additional delegate passes to Master Classes or Forum can be purchased at 50% discount. 5. Exhibitors who have booked option 3 are entitled to a complimentary advertising page in the Forum’s catalogue. 1. Hire of table, chair and small area for mobile exhibition stand (maximum width up to 1.5 m and height up to 2.5 m). 2. 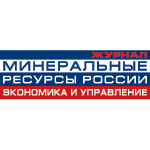 Listing of exhibitor’s profile (up to 150 words) on MINEX Russia 2016 website and in the Forum catalogue. 3 One delegate ticket to MINEX Forum on 5-6 October and Gala dinner. 4. 30% discount for purchasing additional delegate tickets to the forum and/or master classes. Exhibitors who have booked presentation slot at a Business Podium session are entitled to 20-minute meeting room hire, screen, projector, sound system, Russian-English simultaneous translation and enclosure of the presentation in the forum’s materials. Exhibitors presenting at the forum should submit speaker form with the presenter’s bio, photo and presentation slides. Exhibition stands reservation closes on 20 September 2016. Booking confirmation and invoice: Prices quoted in British Pound Sterling (GBP) at 0% UK VAT). You will receive acknowledgement of your booking and invoice within 48 hours of sending your registration. Please call us on + 44 (0) 207 520 9341 in case you do not receive confirmation within stated period. Payment: Payments must be received in full before 20 September 2016. UK VAT is not applied to payments made to the UK account. Payments made to the account in Russia will be subject to local taxes, Bank commission charges and Exchange rates. Credit card payments accepted online via PayPal only. Cancelations: if received in writing before 20 September 2016 will be subject to administration charge of 10% of total amount. Full fees are payable in the event of cancelation after 20 September 2016. Delegate substitutions are welcome at any time (providing the delegate has Russian entry visa).